The aim of this research is to contribute to the general system education providing new insights and resources. This study performs a quasi-experimental study at University of Salamanca with 30 students to compare results between using an anatomic app for learning and the formal traditional method conducted by a teacher. The findings of the investigation suggest that the performance of learners using mobile apps is statistical better than the students using the traditional method. However, mobile devices should be considered as an additional tool to complement the teachers’ explanation and it is necessary to overcome different barriers and challenges to adopt these pedagogical methods at University. This research work is made within University of Salamanca PhD Programme on Education in the Knowledge Society. Briz-Ponce, L., and Juanes-Méndez, J. A. (2015). Mobile devices and apps, characteristics and current potential on learning. J. Info. Technol. Res. 8(4):26–37. doi: 10.4018/JITR.2015100102. Chang, C.-K. (2009). Acceptability of an asynchronous learning forum on mobile devices. Behav. Info. Technol. 29(1):23–33. Retrieved from http://eric.ed.gov/?id=EJ882903. Frohberg, D., Göth, C., and Schwabe, G. (2009). Mobile Learning projects - a critical analysis of the state of the art. J. Comput. Assist. Learn. 25(4):307–331. doi: 10.1111/j.1365-2729.2009.00315.x. Prieto, J. C. S., Migueláñez, S. O., and Peñalvo, F. J. G. (2014). Understanding mobile learning: devices, pedagogical implications and research lines. Teoría Educ. : Educ.Y Cultura En La Soc. Info. 15(1):20–42. Retrieved from http://dialnet.unirioja.es/servlet/articulo?codigo=4655290. Toktarova, V. I., Blagova, A. D., Filatova, A. V., and Kuzmin, N. V. (2015). Design and implementation of mobile learning tools and resources in the modern educational environment of university. Rev. Eur. Stud. 7(8):318–324. doi: 10.5539/res.v7n8p318. Sevillano-García, M. L., and Vázquez-Cano, E. (2015). The impact of digital mobile devices in higher education. Educ. Technol. Soc. 18(1):106–118, Eliminar, 2015. Retrieved from http://www.openeducationeuropa.eu/en/article/The-Impact-of-Digital-Mobile-Devices-in-Higher-Education. Briz-Ponce, L., and García-Peñalvo, F. J. (2015). 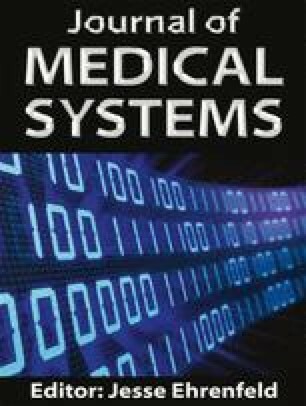 An empirical assessment of a technology acceptance model for apps in medical education. J. Med. Syst. 39(11):176. doi: 10.1007/s10916-015-0352-x. Green, B. L., Kennedy, I., Hassanzadeh, H., Sharma, S., Frith, G., and Darling, J. C. (2015). A semi-quantitative and thematic analysis of medical student attitudes towards M-Learning. J. Eval. Clin. Pract. 21(5):925–930. doi: 10.1111/jep.12400. Ventola, C. L. (2014). Mobile devices and apps for health care professionals: uses and benefits. Pharm. Ther. 39(5):356–364. Retrieved from http://www.ncbi.nlm.nih.gov/pmc/articles/PMC4029126/. Ling, C., Harnish, D., and Shehab, R. (2014). Educational apps: using mobile applications to enhance student learning of statistical concepts. Human Factors Ergon. Manuf. 24(5):532–543. doi: 10.1002/hfm. Diliberto-Macaluso, K., and Hughes, A. (2016). The use of mobile apps to enhance student learning in introduction to psychology. Teach. Psychol. 43(1):48–52. doi: 10.1177/0098628315620880. Raney, M. A. (2015). Dose- and time-dependent benefits of iPad technology in an undergraduate human anatomy course. Anat. Sci. Educ. doi: 10.1002/ase.1581. Martin, R., McGill, T., and Sudweeks, F. (2013). Learning anywhere, anytime: student motivators for m-learning. J. Info. Technol. Educ. : Res. 12(1):51–67. Retrieved from http://www.scopus.com/inward/record.url?eid=2-s2.0-84877666782&partnerID=tZOtx3y1. Briz-Ponce, L., Juanes-Méndez, J. A., and García-Peñalvo, F. J. (2014). Analysis of certificated mobile application for medical education purposes. In: Proceedings of the second international conference on technological ecosystems for enhancing multiculturality-TEEM14. ACM, New York, pp. 13–17. doi: 10.1145/2669711.2669871. Lewis, T. L., Burnett, B., Tunstall, R. G., and Abrahams, P. H. (2014). Complementing anatomy education using three-dimensional anatomy mobile software applications on tablet computers. Clin. Anat. 27(3):313–320. doi: 10.1002/ca.22256.